Chiropractic is a system of health care based upon helping to eliminate pain and improve body function to remove irritation to the nerves in the body. Your nerves control all the functions in the body from breathing and digestion to movement, circulation, and touch. Nerves also inform the body when injury occurs by producing pain. When nerves of pain are irritated, you feel pain. When nerves of function are irritated, there is no pain. However, you lose some, if not all, the functions controlled by those nerves. Chiropractors get a doctorate degree with years of graduate study focusing on the sciences studied by other physicians. They also study techniques to eliminate pain and restore normal function without using medications or surgery. Our goal is to help patients get free of symptoms with which they suffer, but even more important to help them correct the cause of those problems instead of "masking" them. Once health has been obtained, it is vital to maintain your health. Prevention and maintenance care support the goal of prolonging and improving the quality of life. Dr. Bauer is always available to take new patients and is able to get them in within 24 hours. He believes in understanding the person as a whole, not just one aspect of a person's health. His approach to health is to look at the body's entire system, which is a more holistic approach to wellness than traditional chiropractic care.
" My name is Richard Bauer, Doctor of Chiropractic. I have worked in the Chiropractic field for over 30 years. I am the best Spanish speaking Chiropractor in the Greeley area and offer a free 30-45 minute consultation and exam to new patients. I take the time to properly document and treat each and every symptom. Some patients may come in with certain symptoms at the beginning and have other symptoms appear over time. I will give full proper treatment to those symptoms." 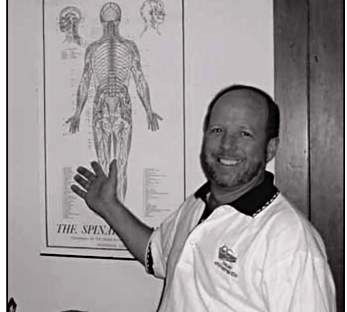 Dr. Bauer graduated from Palmer College of Chiropractic in 1979 and has been treating patients for over 30 years in Colorado.